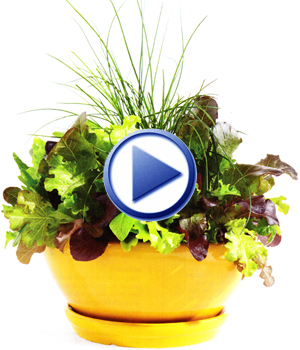 The very first thing you need to do is find out who or what is eating on the potted plants. Many critters come into your yard or garden area at night or early in the morning, so this is the best time to be on watch. If you think it may even be your beloved pets, there are steps that you can take to discourage them from continuing. You can find digging holes or nibbled leaves. Either way you need to do something about it! Birds: Mostly birds are a added bonus to your garden and something that you try to attract with a bird bath, feeder or house. They love to eat on garden pests and insects which is also beneficial but, some will eat newly planted seeds or seedlings. The most humane way to protect that from happening is to cover the top of the pot with chicken wire. 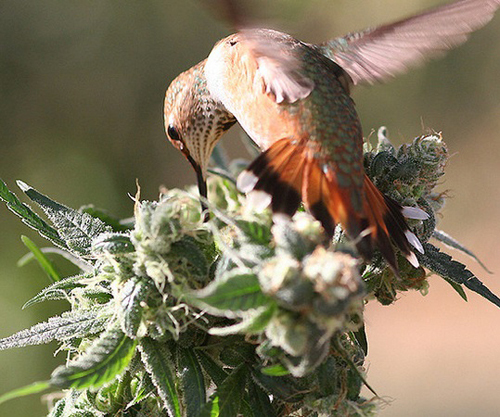 Once the plants start to grow birds tend to back off and not go for them as much. Of course the main exception is if you grow your own fruit. 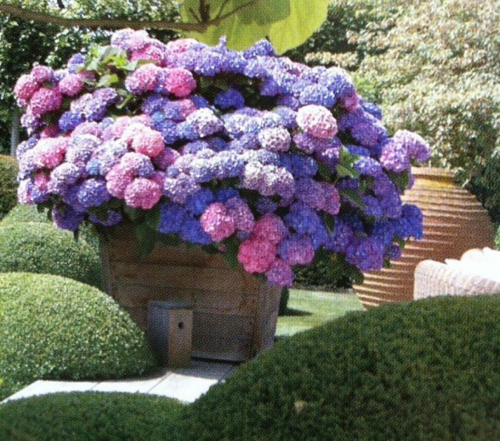 If the fruit bushes are potted you can cover them with netting materials found at most garden centers. 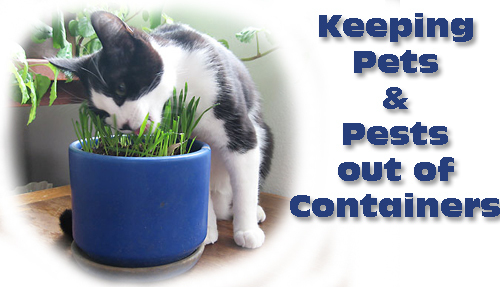 Cats & Dogs: Unfortunately outside pets tend to use larger containers as potty spots, especially cats. If the soil you use is aromatic with fertilizers dogs will dig in them. We suggest using chicken wire again or some repellent sprays available on the market. Covering the soil with rocks or decorative glass will stop cats because they don't like the feel but dogs don't seem to mind digging in them. Deer: These types of animals have become accustomed to humans being around so they are entering more backyards and garden areas. Of course the best way to stop them is with a tall fence or spraying with repellents that are available on the market. 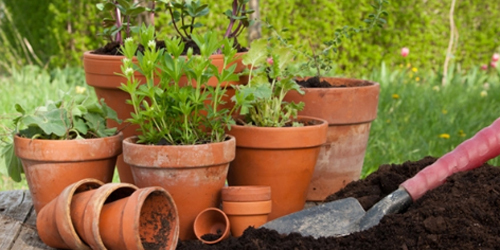 Make sure if you use a repellent on a pot that is close to the house - it isn't one that smells bad. 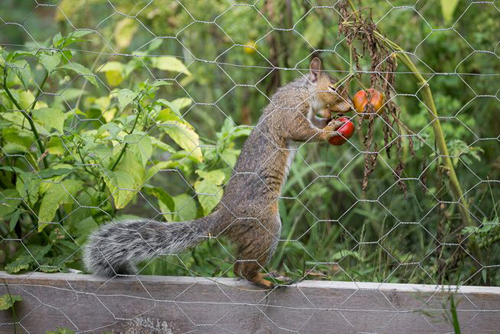 Rabbits: They like to nibble on many types of plant materials so the best thing to do is to use a chicken wire cage over the plants that you can remove when you are in the backyard. 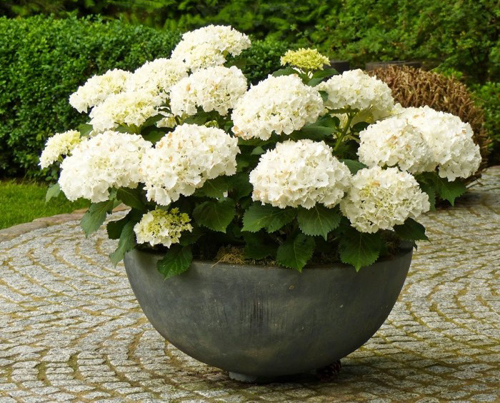 Try elevating your container so that they can't get to the plants to eat them. Squirrels: These little guys are really annoying because they love to dig in the loose potting soil mixes and bury their nuts. 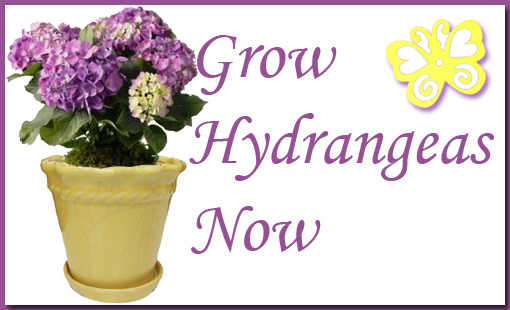 They won't hesitate to uproot newly plants flowers or plants. Once your plants become more established they will tend to stay away but until then go back to the chicken wire mesh or repellent sprays. Great post! I have problems with pests and this was very helpful. Thanks and keep up that great work. Have you ever noticed how many of the planters you see in the local garden centers are all starting to look alike? We have seen many of the same designs come back year after year and feel a little bored with it all. On a daily basis we have over seas manufacturers contacting us to see if we are interested in purchasing their pots and planters. Unfortunately many of those products are the same style and finishes that we have been seeing for many years. Very few of these manufacturers are delving into styles that are unique and interesting. Because their methods of manufacturing and their labor costs are very inexpensive, the United States manufacturers can not compete and are almost non-existent. 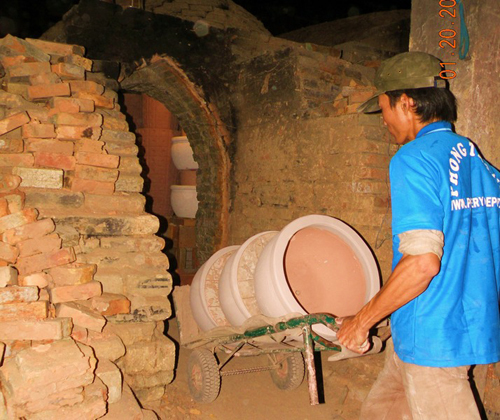 Years ago we were searching for a US manufacturer that would be interested in working with us to make custom pottery. We could not find anyone interested. 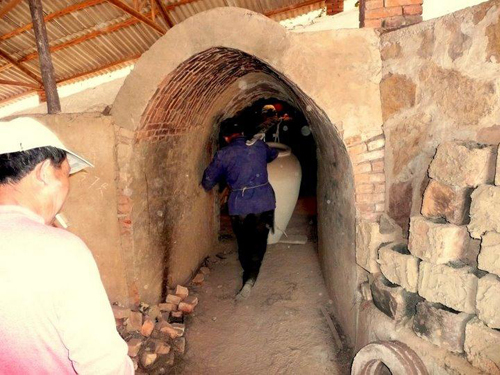 The labor and supplies it would take to make this type of pottery is to high and they felt they would not be competitive. It appears there is no market in the US for this type of industry. Don't get me wrong. There are American manufacturers that we work with and their products are the best we have seen. We get concrete pots made for us whose workmanship is unbeatable and quality of product unsurpassed. We have metal custom made for us that are unusual in design and materials. This company has been around since 1901! Our Sandstone pottery is the most stunning we have ever seen and they have an exclusive on the Frank Lloyd Wright Collection that is outstanding in design. 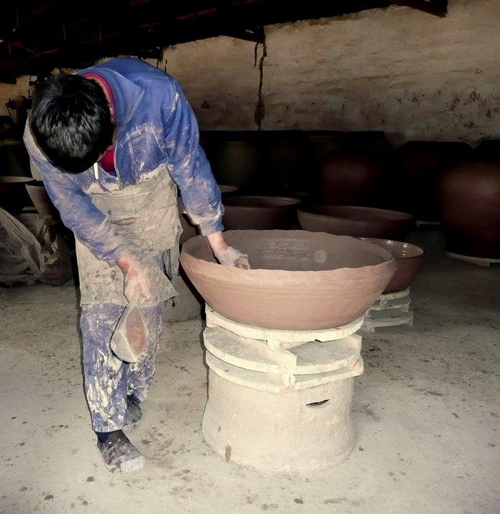 But, when it comes to terracotta clay pots and planters we still import out of the country. Italian, Chinese, Indonesian and Mexican make up the majority of what we import. Each method of manufacturing is different the quality differences are huge! 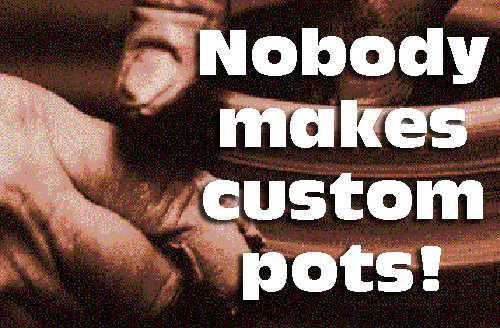 But, when it comes to finding an American manufacturer that makes clay or ceramic pottery, they just don't exist. The worse part of this industry is that the established manufacturers we are working with are NOT interested in doing custom work! So, where does that leave us? Not in the best position around. We try to carry as much inventory as possible but when you call us and we are out of a certain style or size, please be patient and try to understand. We are just as frustrated as you! Re-potting really is easy to do and no big deal at all. 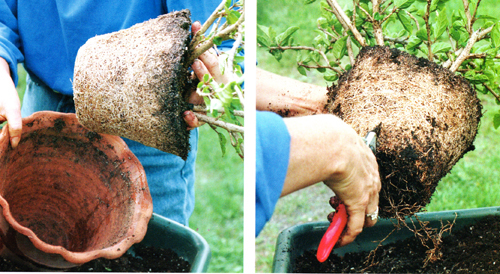 The main idea is to recognize when a pot has become root bound and needs to be re-potted. Then deciding on when is the best time to do the re-potting so that your plants will experience the least amount of distress as possible. 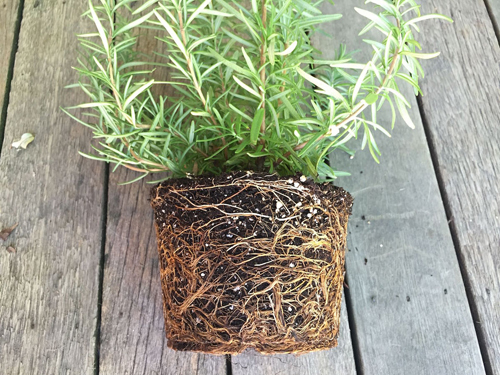 If you see lots of roots coming out through the drain hole of the pot, or matted large roots surrounding the surface of the pot - YOUR PLANT is in distress! 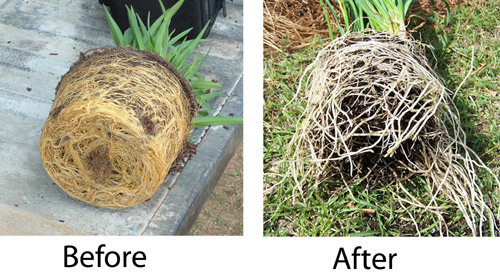 If you slip the plant out of the pot and the bottom is all matted and root bound - IT IS TIME TO RE-POT! Sometimes the flowers look bad, the soil looks dry, the leaves are stunned and even dropping off. You may of waited to long to re-pot so don't wait for these signs to get going on moving these plants. Plants give off these distress signals because they can no longer get enough moisture or nutrients from the soil through their root systems. Anything in a potted container should be checked regularly. 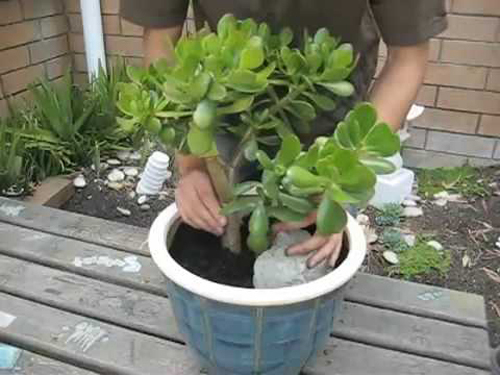 The most accurate way to do this is to slip the plant out of the pot and visually examine the roots. 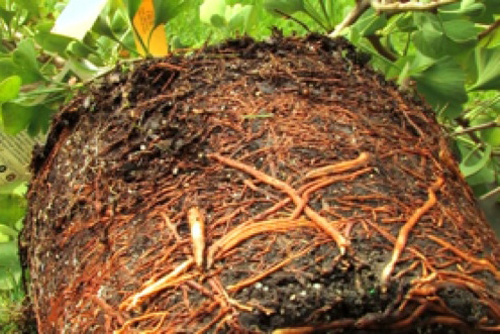 When it comes to any flowers or plants that you may of started from seeds, you will have to check their roots frequently. 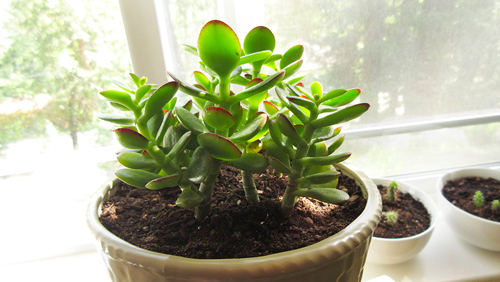 Keep moving them to larger containers every month or so until they reach their final destination pot. 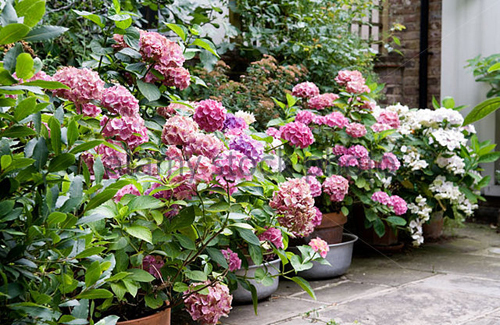 Some permanent plants like trees, shrubs etc, may need to be re-potted every couple of years. 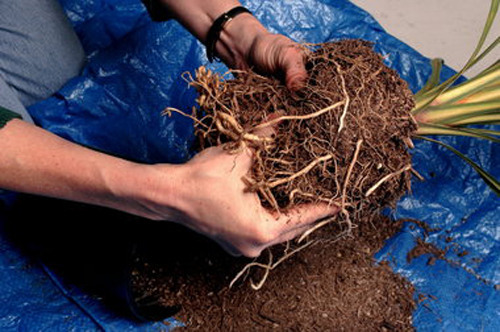 They become root bound and can experience distress just like the smaller plant materials like flowers and vines. 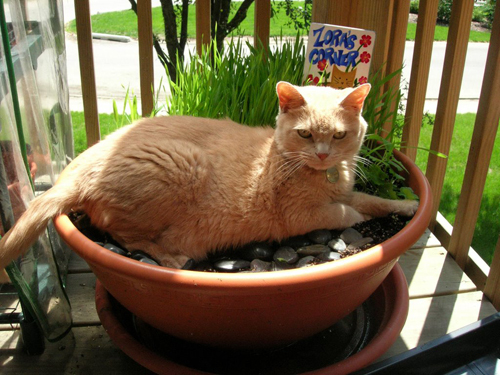 It is always best to re-pot all plants when they are dormant. This will help with the distress levels they will experience from being moved. 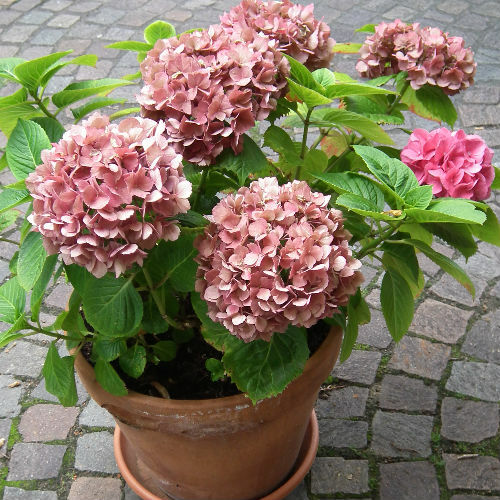 Its is as simple as remembering to re-pot spring blooming permanent plants in fall and evergreens in spring or fall. Our next blog entry will take this discussion further. 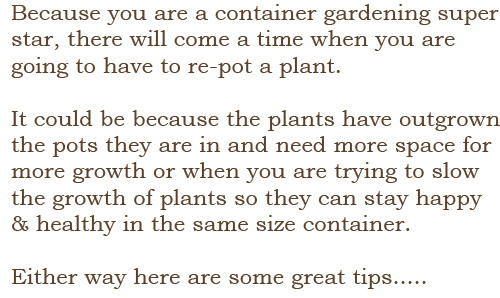 Choosing a new container and re-potting tips will be featured. 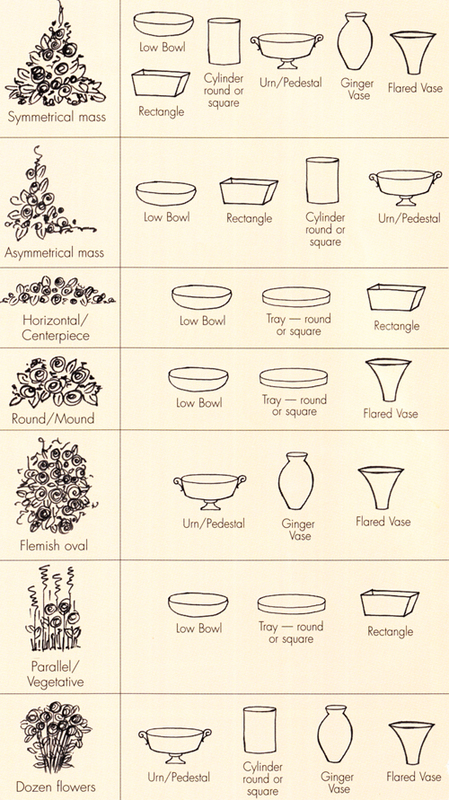 Here are the six most common urn shapes used by the ancient Greeks. Traces of elements from these can be found on our urn pitchers, vases, bowls and goblets of today. 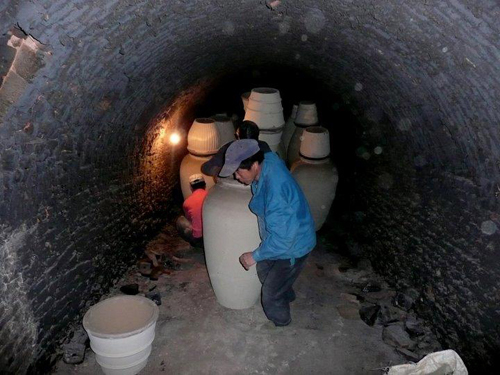 AMPHORA - (am-FOR-UH) Used to store oil or wine. Has an oval body tapering to a point, two handles, and a narrow mouth. HYDRIA - (HI-DREE-UH) A squat jar with two horizontal handles below a short neck and one handle from lip to body. KRATER (KRAY-TER) A bowl used to mix wine and water. Has a wide neck and body with two handles. KYLIX (KI-licks) Shallow bowl with two handles sometimes used as a goblet by bride and groom. LEKYTHOS (LECK-UH-thos) Smaller and intended for perfumes and cosmetics. Has a long, narrow neck, flanged mouth, oval body and one handle. OINOCHOE (OH-EE-NOAK-oh-ee) Used as a pitcher. Typically has one curved handle extending from the body to the lip of the urn.